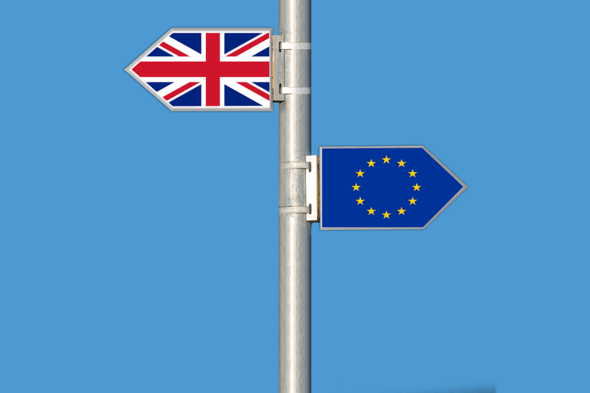 Although, a recent consensus forecast from Verisk Maplecroft indicates that the likelihood of a hard Brexit, meaning no deal between the UK and Europe can be achieved, remains low, nevertheless Brexit uncertainty has already had impacts on the UK supply chain of the offshore wind sector. At the moment, the UK is the largest offshore wind power market in Europe - and it is expected to stay on top for at least the next decade. But the British market has attracted many foreign suppliers leading to a deeply interconnected industry between the UK and Europe. as Shimeng Yang states who has collaborated with the team of offshore wind analysts of Wood MacKenzie to assess the impact of a hard Brexit on the UK's offshore wind industry. The growing scale of the projects and the interval between future tender rounds (bi-annual) in the UK means that exports will be key for the UK supply chain to alleviate the fluctuating nature of the build-out and optimize production utilization. Hence any trade barriers imposed by Brexit would have a detrimental impact on the UK supply chain. For example, non-UK based supply chain players would face an average WTO tariff of 2.7% plus a significant degree of uncertainty over labour, finances and the law until a new trading agreement was reached with the EU. Similarly free trade with continental Europe is also key for developers to mitigate the costs of project disruptions as it allows for reshuffling of installation vessels or suppliers. The report by Wood MacKenzie estimates that a hard Brexit would have a less severe impact on the offshore wind power industry than other industry sectors. In the short term, the risk of import tariff and other various uncertainties may result in a drop in the capacity awarded in the upcoming CfD auction round 3. It is expected to see a higher degree of clarity on hard Brexit by the commencement of the next CfD allocation round. In the long term, the impact of a hard Brexit would be limited. Wind power growth is more closely linked to the global energy transition, which will continue to accelerate and drive up demand. For more charts, data and analysis, fill in the form on this page to receive your complimentary copy of the report.